Bored of the same make-up look day after day? Then this kit is the perfect answer. 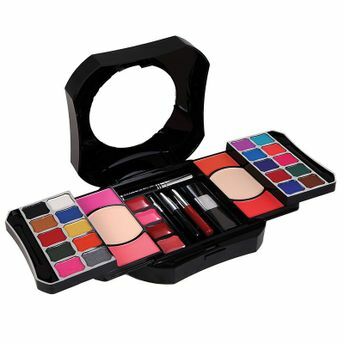 Featuring 20 eye shadows, 1 mascara, 4 blushers, 2 compact powder, 4 lip glosses, 1 eye pencil, 1 lip pencil and enclosed applicators, it will give you multiple options and beautiful looks to choose from, whenever the desire to switch things up strikes!